When you have a very important item in your possession, you want to guard it in the best way you can, even with your dear life. When it comes to investments like gold, silver, and other coin metals, you need to place them in proper storage for security, protection, and for your peace of mind. Before you invest on expensive metals you should also consider how to secure them. So you don’t just place them in any ordinary vault, there is a dedicated kind of repository solution that is made especially for your precious investments. There are several precious metal storage companies that offer secure depository solutions. Most popular services offered are segregated and allocated depository. From the word ‘segregate,’ segregated means a type of storage where precious metals are stored separately or apart from others. There is usually an exclusive individual precious space storage box assigned to each client. This means the expensive metals you will receive are the very same ones you stored in the secured vault. As the owner, you can view and audit your metals any time. The legal title for your metals is not transferable, so the storage company is not entitled to change or use them if you have not allowed it in the agreement. The other kind of vault is called commingled or allocated storage. This kind of secure depository is where your precious metals may be combined and pooled with other positions of clients of the company. Basically, the precious expensive metals are just recorded under your name. This will work for investors who are not looking for delivery at any near time and just looking for representations of your investments. There are many different reasons why a gold bullion vault is still the top choice for precious metal storage. It is not safe to store your gold and silver just anywhere. By choosing a segregated gold bullion vault option, you know you are only entrusting your precious expensive metals to the experts who know the precious metals storage business and fully capable of what they are doing. Choose only the fully insured private third-party custodian who are industry experts, it is your safest bet. When you store your precious metals in commercial banks’ safe deposit boxes, note that they are not insured by the FDIC and also not protected from losses. Specialized gold bullion vault depository companies are insured of up to $50 million and more. It is therefore a good, safe, and insured alternative for precious metal investors. What many investors do not know is having their investments managed by exchange traded funds is very expensive and the more cheaper alternative is actually storing your precious metals in private gold bullion vaults. This storage option for your investment is just one among other things you need to consider. Get a full grasp in investing into expensive metals in our website personalincome.org for your own protection. When you invest with gold in your IRA, a big concern is finding a brokerage firm who can facilitate transfer of your precious metals to your storage company of your choice for segregated or allocated storage. 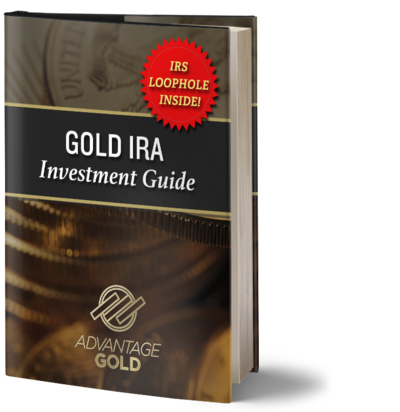 Investing with gold in your IRA is not easy, you need to be knowledgeable on the matter. Visit us to learn more about it. There is one specialized service that only a handful offers. One of the trusted companies that specialize in first-time gold buyers is Advantage Gold. Based in California, it is a widely preferred source of precious metals for IRA and can help facilitate its storage with a trustworthy company. They pride themselves on the best customer service in the industry and really helping our clients through the entire process step-by-step.